It’s May in Indiana, so attention has turned to anticipation surrounding who will qualify for the100th running of Carl Fisher’s Indianapolis 500 race on May 29th, and who will persevere to Victory Lane. 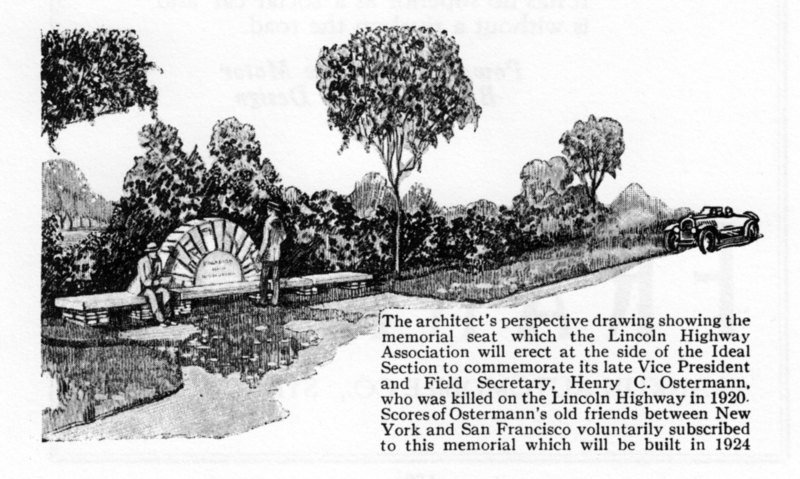 In Northwest Indiana, another race is underway along the Ideal Section of Carl Fisher’s Lincoln Highway—the race to complete the renovations at the site of the Henry C. Ostermann Memorial Seat and the Ideal Section Monument before the official September 17th dedication. Generous in-kind and monetary donations have enabled qualifying renovations to date which include the removal and refinishing of the five historical plaques (four bronze and one aluminum), cleaning, tuck-pointing, and adding a protective coating to the stone monuments, excavation of the flagstone steps and terrace, removal of non-original trees and vegetation, completion of a sidewalk to improve access, and development of interpretive panels and restoration of a Lincoln Highway concrete post to enhance the site. Now we’re ready for the race to the finish line: professional re-installation of the plaques, fabrication of the interpretive panels and mounting posts, repairs for the steps and terrace and some final landscaping will cost about $2,000. 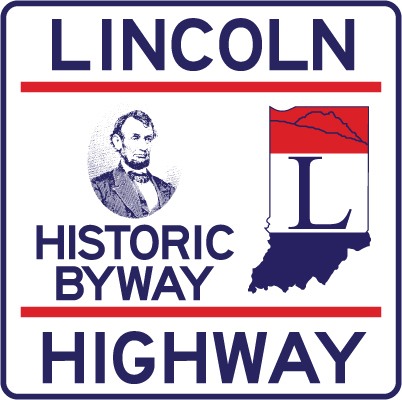 Remaining balance in the account plus new donations from the Indiana Lincoln Highway Association members bring the total needed down to about $1,000. Tax-deductible donations of any size at any time are welcome, but reaching the checkered flag by May 29th will assure that we have the time needed to complete the project by September. Contributions can be made by check payable to INLHA and sent to Indiana Lincoln Highway Association, 402 W. Washington St., South Bend, IN 46601. You can also pay by PayPal using the Donate button on our homepage, even if you do not have a PayPal account. Just mention that your contribution is for the Ostermann Bench in the PayPal comments section. Thanks for your help in driving the Ostermann/Ideal Section Restoration Project to Victory Lane! See the attached PDF for photos of the progress to date. Please share this with other interested persons/groups.